Weathers frontman Cameron Boyer discusses music as an antidepressant, writing with Grouplove, debut album ‘Kids in the Night’ and new single “Dirty Money”! Using music to combat depression comes in many forms, whether it’s the catatonic coldness of The Weeknd’s My Dear Melancholy, or the raw screaming of Modern Life Is War’s Witness, music as a tool is nothing new. 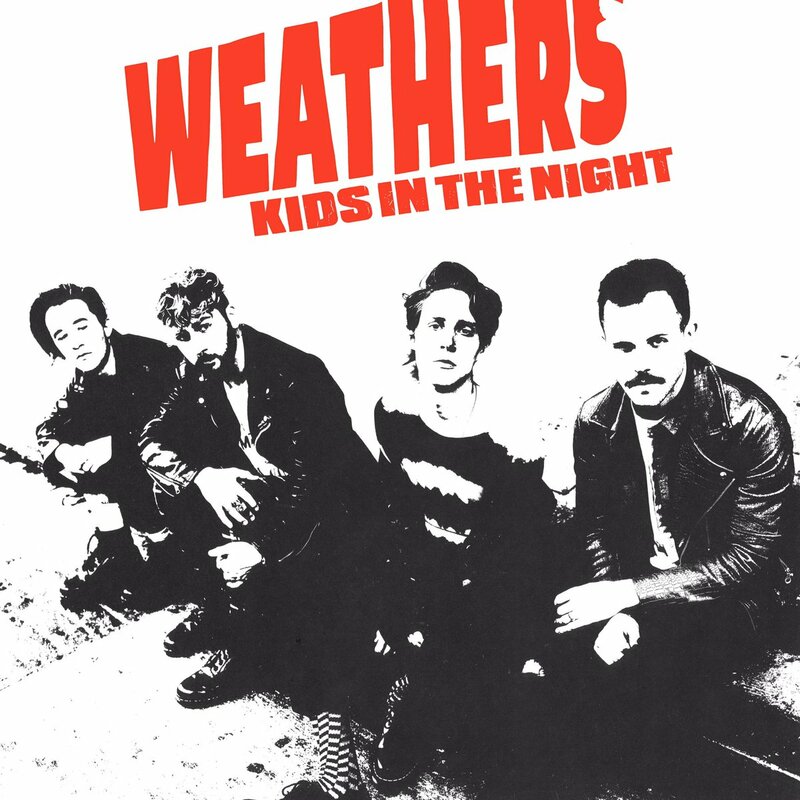 Enter Weathers, the Los Angeles rock band whose debut album Kids in the Night is a slice of pop-rock perfect for dancing. 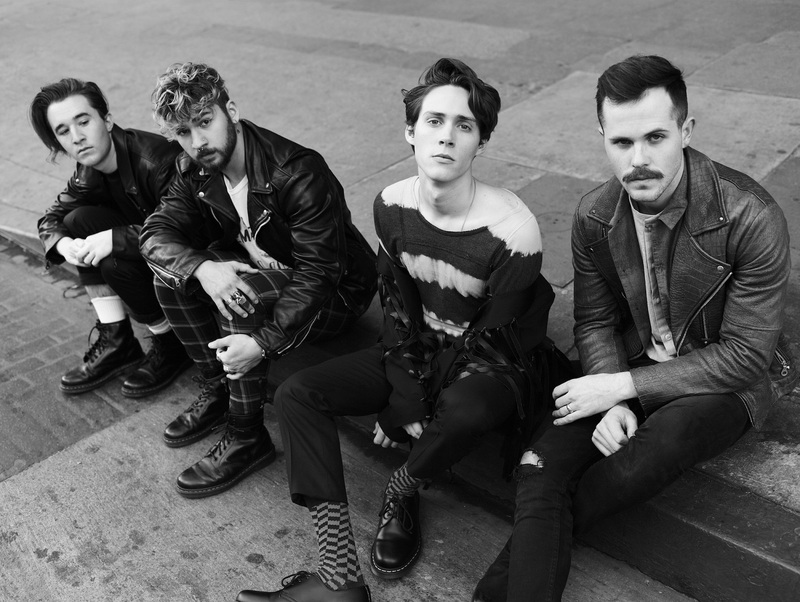 Atwood Magazine spoke with Weathers frontman Cameron Boyer about Kids in the Night, music as an antidepressant, and driving. If you’re going to listen to the whole album, I always recommend you do it alone, driving in your car, at night. Atwood Magazine: The first thing I need to ask: is “I'm Not Ok” at least a little bit of a My Chemical Romance reference? In a song like that, something that both (yours and MCR's) songs do is address mental health issues, not only there but throughout the record, but the record is upbeat sounding. Do you feel that making upbeat music helps struggling with mental illness. Boyer: Definitely, everything on the album is open to your own interpretation. One of the things about contrasting the lyrics — people who are struggling with mental illness or mental health issues or people who are simply in a bad place or feeling down or going through something difficult, that doesn’t mean that every second of the day they’re moping or crying or feeling sad. A lot of people will go through the day wearing a smile on their face and laughing, and it’s really on the inside where they feel things are wrong. We wanted to reflect that sort of thing in our music. On the outside, you’re feeling happy, but then on the inside, maybe not so much. When you listen to the music, the shell of it sounds upbeat and happy, but when you listen to the lyrics, it can be darker. It came natural to us while writing the music. We didn’t even think about it until later, but we naturally gravitate toward that style of writing. I think that’s just who we are as a band. As a group, that’s how we operate and how we live our lives. We’re the types of people where you might not even know that something’s wrong until you bring it up or until someone asks you. When I listen to your music, it reminds me a lot of early 2000's indie rock. Can you tell me a little bit about your influences? Boyer: The influences we have are more new wave or post-punk. We take a lot from The Cure [and] The Police, especially if you listen to our guitar lines in songs like “Let It Out,” “Shallow Water,” even “I’m Not Ok.” We also take a lot of influence from bands like Pixies who are more of that nineties vibe, and songs like “I’m Not Ok” and “Poser” are where those influences really shine through. 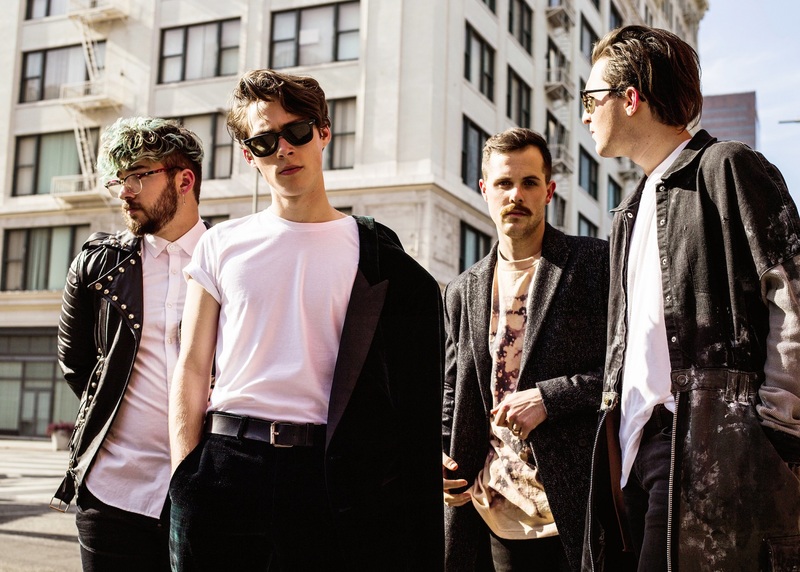 Some of our more modern influences are Sir Sly and The Killers. Everything that I've read about you guys, driving seems to come up, and it manifests itself in the video for “1983.” There's a long lineage of connecting cars and great music. How do you feel that driving plays into your songs? Boyer: Taking long drives at night is one of my favorite things to do. I have a whole playlist on my Spotify that’s just called “Drive,” and it’s a bunch of songs that just work for driving. Driving, alone especially, at night-there’s something about it where you feel like you’re sneaking around town, or you’re driving through a mysterious place, especially if it’s like a city vibe or along the coast of California. It feels like you’re crawling through the night, kinda. There’s something about that that I’ve always gravitated towards. So, when I write music, there’s songs that I feel like are good driving songs. “1983” is like that and “The Night is Falling” is a little bit like that. It’s one of my favorite pastimes, so I like to incorporate that into what I create as well. “Casual Monday” was my favorite song on the record. Can you tell me a little bit about writing and recording that song? Boyer: That’s funny: That song and “Carry Us Home” are my favorites to play live. “Casual Monday” is a really cool song. We wrote that with Hannah [Hooper] and Christian [Zucconi] from Grouplove actually. We wanted to write something that felt lazy and something that the audience in a live show could relate to an scream back to you while you’re onstage, which is cool, because in the breakdown chorus of that song, I always have the crowd sing it, and it’s areally magical. That song’s about being lazy and not really caring about anything. It’s feeling like you don’t have energy to do anything including just speaking or just the smallest thing. You don’t have the energy to do it; you don’t want to do it. Boyer: “Dirty Money” is a song we wrote with a couple friends of ours. We didn’t really have any expectations going into it. We just wanted to write a cool song that we just vibed to. We didn’t want to go in with any pressure-that’s usually how we like to write our songs. The guitar player Cameron Olsen and I and our friends just had a bottle of Jack Daniels and took a couple shots and started writing a song. We focused around this idea of being as young as we are and being in the music industry and having fans and what that can do to one’s persona and ego. The song as a whole is about growing up and battling your own ego and your own demons and the things that this profession can do to your brain. Is there anything else you want to tell your fans or our readers? Thank you for listening, and if you’re going to listen to the whole album, I always recommend you do it alone, driving in your car, at night. I think that’s the best way to do it, and come to a show. It’s always a party at our shows.